Issa Rae, most known for taking HBO by storm with her hit series Insecure. The script provides a candid & vulnerable view that many African- American men and women relate to. Pushing past stereotypes, insecurities and finding the balance in adulthood. As much as it may seem like an overnight success, the sitcom is the result of many years of hard work, try . fail, and mastering her craft first of being an openly vulnerable writer. Issa Rae has been writing since a teenager. Then finding her tribe in college. A small group of friends who shared her passion in all creative forms. From there she began her own web-series on Youtube. 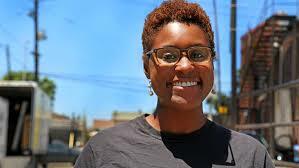 Building millions of subscribers Issa Rae then began working with additional directors, videographers, and writers. Helping elevate other African American film dreamers like her to bring their projects to life. Using her platform slowly but surely she built her own production company using those with passion and resources around her. Mastering all of the resources around her showed HBO executives that she wasn't just here to be famous but to rebuild Black Hollywood with substance.